Procell is a treatment that can be used with microchanneling (also known as microneedling); it delivers stem cell growth factors to naturally improve the appearance of fine lines, wrinkles uneven skin tone, acne and acne scarring. It also improves the clinical health of your skin by stimulating a rejuvenation cascade that your body already has. Skin health is also indirectly affected by your diet and hormone health, so in addition to Procell Clear Sky Medical recommends hormone and thyroid optimization and our nutrition services for lasting results. A consultation with Dr. Katia Meier will help you find out if nutrition services, bio-identical hormone or thyroid treatment would be useful in your unique case. This personalized approach is what makes Clear Sky Medical unique compared to clinics that don’t address underlying medical causes for your skin problems. How are skin appearance, stress and diet connected? 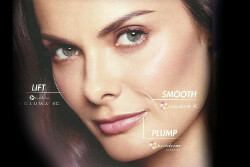 For example, androgens are steroid hormones responsible for skin breakouts when levels get too high. Both stress and junk food leads to high insulin, which is a trigger that makes too much androgen. To reduce acne, avoid sugars (both refined sugar and starchy products) found in processed junk food. Vitamin A, minerals and flora ingested through vegetables and healthy fats will help your skin. There is even a connection between healthy stomach flora and your skin flora (good bacteria). Your nutritionist at Clear Sky Medical is available to help with diets that will improve your skin health. 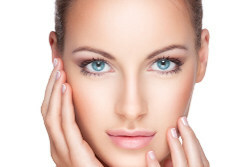 Another cause of poor skin health is hormone imbalance as a result of aging or ovarian dysfunction. Dr. Meier is specialized in recognizing hormone imbalances and in correcting them naturally. How does Procell fit in? 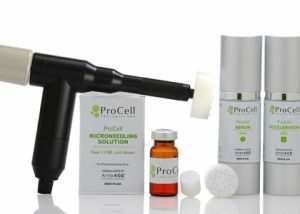 Procell is a great way to correct for past damage to your skin, repair and let your best skin emerge again. This treatment can give you immediate and long term improvements to let your skin shine in its healthiest way. Before and after Procell treatments in a patient of 54 years. We are about making you look and feel good, treating the root cause of your problems to give you optimal and long lasting results. Call us at (303)790-7860 to book a consultation.